Warrenton Youth Sports Club ( WYSC ) is seeking experienced coaches for WYSC's 2018 MUSTANGS AAU/Travel Basketball program. Divisions will range from 5th grade to High School aged teams. WYSC is seeking dedicated, qualified, experienced coaches, who love coaching the game, and especially love working with youth athletes. Candidates will have a high level of knowledge of the game, excellent communication skills, which will help him/her maintain positive communication with players, parents and club staff. College playing experience or previous coaching is highly recommended but not mandatory. 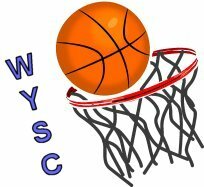 WYSC's AAU/Travel Basketball will offer talented and motivated players a chance to play against other competitive teams. Players have opportunities to improve their individual skills and learn team strategy with an emphasis on the dedication and perseverance needed to play competitive sports. Program Fee is $600.00, plus uniform. WYSC's AAU/Travel Basketball program Technical Director will schedule try-outs near the completion of each winter recreational season, and in July for our fall season. Tryouts are an essential part of WYSC’s AAU/Travel Basketball Season. WYSC’s AAU/Travel Basketball team is an intense and highly competitive program. Our coaches look to create well-rounded, highly skilled teams with both the skills and attitude that will best serve the team and the program. Players who join our team must be ready to commit to the season and be motivated to work hard. Tryouts are open to any interested player regardless of club or team affiliation. Players are required to attend try-outs for their age division. The Technical Director and team coaches will be conducting try-outs. Try-outs, if needed, may be held over multiple days. Player selection process will be done with input from team coaches and Technical Director. Players are encouraged to play at their proper grade division, playing up is not permitted unless approved. Players interested in trying out for any of the WYSC's AAU/Travel team will need to pre-register. ALL AAU/TRAVEL BASKETBALL TRYOUTS ARE "CLOSED"TO PARENTS. ONLY PLAYERS AND COACHES ALLOWED IN THE GYM DURING TRYOUTS. Interested in Coaching a WYSC AAU/Travel Basketball Spring Team? There are head coach and assistant coach positions open within our travel program. There are also opportunities for advancement. Coaches can work their way from being an assistant coach, to a head coach, or towards a member of the club's technical staff. Most coaches in our travel program are eligible to receive a coaching stipend each season. The stipend is dependent upon qualifications and experience. For more details, please send us an email expressing your interest and a short writeup on your basketball background. We will contact you shortly after receiving the email. Interested coaches send email to club director, Raul Heras at or call 540-326-5624.